In this video I’m playing the song using key of G chords, but with a capo on the 3rd fret. The open key is Bb, which is the same as the album version. 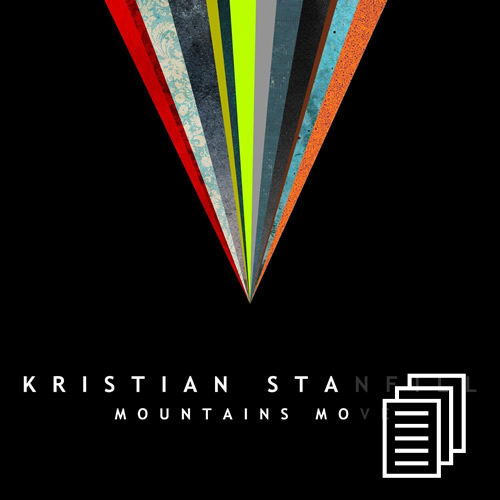 Our resources for this song are from the ‘Mountains Move’ album by Kristian Stanfill. Thanks Brian, I love your interpretation. I tried learning this song but it wasn’t coming out right. I can learn the way you layed it out. Very fun song, I could even play it during chidlren’s worship! this is a great rendition. People need to see some upbeat songs done on a sole accoustic. It reminds us we can do it in service without dotted 8th delay and a timmy… sorry I am a gear Nerd. As always your voice just plain shines. If you sped up the sound waves into the light spectrum you might just have a brilliant voice. Thanks for the video. @Mathew Garrett Reames Hey Mathew! Yeah, I think we can bring ‘spiffy’ back :). Thanks so much for the compliments, my friend. And I agree with you about the whole ‘worship music exists without dotted 8th delay’ thing (though I do particularly like the dotted 8th delay, haha). What’s a Timmy? Is that an OD? I’m an OCD user, which seems to be really popular among worship guitar players as well. Thanks David! I’ve got a tutorial over this one – I’ll probably get it uploaded tomorrow. I can definitely see kids having fun with it. what size of pick do you use? Hey Andrew – I can’t remember off the top of my head, but I may have been tuned down a half step when I recorded this, which would explain what you’ve experienced with it. I live in Lillington (Harnett Co) NC!!! Hey Steven – small world!